When I think about Jay-Z’s Magna Carta… Holy Grail, there’s one lyric that won’t stop bouncing around my brain. It’s eight years old: “I’m not a businessman, I’m a business, man.” I mean, how else could Jay sell a million records before anyone even knew the album existed? MCHG was announced in conjunction with a $5 million deal with Samsung that allowed one million of its smartphone users to download the album for free five days before its official release. It’s a testament to Jay-Z The Musician’s immense popularity that Jay-Z The Businessman (or Business, Man) could even make such a deal, but it’s also the epitome of “selling out.” And therein lies the problem with Jay-Z: I love him as a musician. I’m impressed by the way he has progressed from the gangster braggadocio of Reasonable Doubt to the King of the Rap Game braggadocio of Watch the Throne, and everything he’s done in between. I love how he proves you don’t need an MBA to be a brilliant business man. But can he continue play both roles? I used to think, Man, it must be awesome to be Jay-Z, but now I find myself saying, Man, it must be exhausting to be Jay-Z. He has the music, the record label, the clothing line and the nightclub to worry about. He only recently forfeited his stake in the Brooklyn Nets (whose Brooklyn re-branding he helped spearhead, including designing the uniforms), but he only did so in order to allow himself to represent NBA athletes in his newest venture as a sports agent. And he’s a father now. So, yeah, he has a lot on his plate. The question, then, is where does rapping rank on Jay’s list of priorities? What does he hope to accomplish in releasing new material? Does he want every effort to be the next Blueprint, further tightening his grip on the title of Best Rapper Alive? Or does he want to do just enough to stay relevant, keeping his head far enough above water to lend credibility to his other projects? After all, it was rap that made Jay Z who is today — if he suddenly stopped rapping, or went extended periods of time without releasing new material (like Dr. Dre with Detox), the way we perceive him would be totally different. Jay needs to be a renaissance man; it’s what makes him great. So what we get with MCHG is a thoroughly average album. It has hits (like “Picasso Baby” and “Tom Ford”) and misses (like “La Familia”, which, for my money, is simply a bad piece of music). Musically, it feels like he’s releasing another album just for the sake of releasing another album. You don’t get the feeling that he’s trying to accomplish anything from a rap standpoint. From a sales standpoint, though — that’s a whole different story. Jay has taken great pride in being the impetus for the RIAA’s decision to count digital downloads towards gold and platinum certification. His Samsung deal forced the RIAA’s hand, which is pretty impressive. 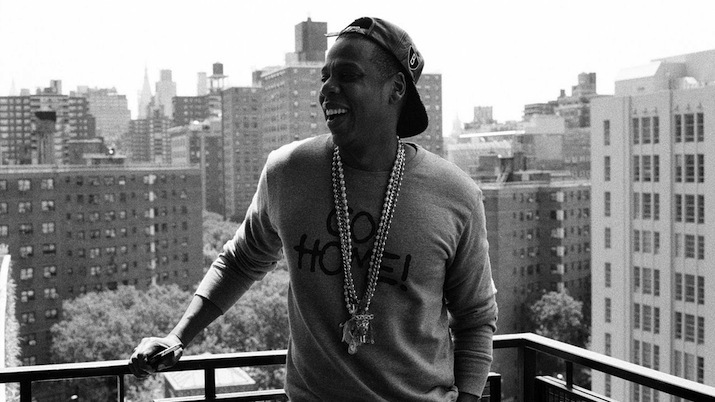 At its heart, MCHG is a statement about what Jay-Z the Businessman is capable of. Whether it’s selling one million records at the same time, or bragging about his clout as a sports agent, what Jay wants you to know is: yes, I rap, but that’s just part of what makes me a money machine.